In the previous post I described some of the breweries that call the Boston area home. That knowledge isn’t of much use if you don’t know where to find their beers. In this post I review the bars and bottle shops where I was able to get a taste of the Boston beer scene during my visit. I was staying in the Westin Hotel near Copley Square in the Back Bay neighborhood of the city. 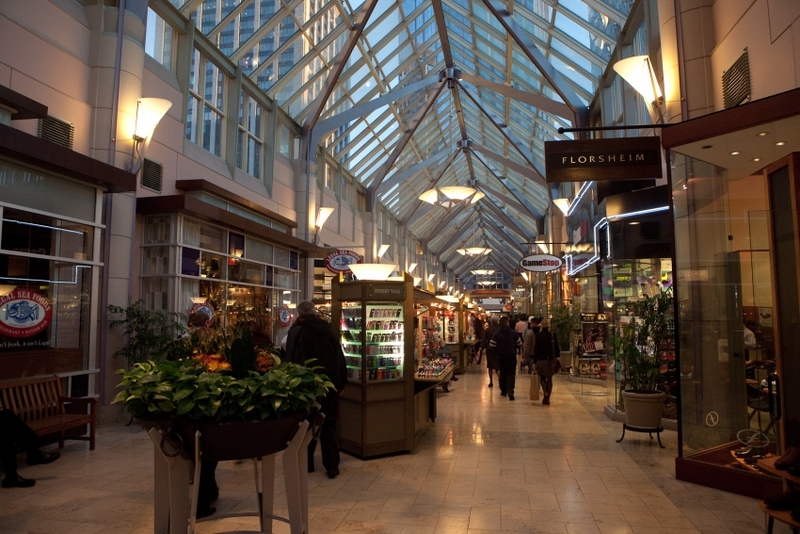 Every day I would make the half-mile or so walk through a seemingly endless maze of interconnected malls to go between my hotel and the convention center. This is the place to be if you are looking to find expensive clothing, seafood restaurants, stuffed toy lobsters, any imaginable piece of clothing emblazoned with the Red Sox logo, Swiss watches, or Russian nesting dolls (I walked past two separate carts selling these every day). I was even corralled into a skin care store and given a sales pitch to buy skin treatments containing gold nanoparticles. Despite the 2-for-1 sale that was going on at the time, and the excessive flattery of the clerks, I was able to resist shelling out $220 to look younger and more vibrant for an entire year. In this sea of consumerism, it’s not so easy to find beer of any kind, and even harder if you are looking for something that goes beyond the ubiquitous Sam Adams. If you find yourself in this same situation, hopefully this guide can help. Everything I describe here can be done either walking or using the public transport system. I was able to make it to a place that served local beer each of the four nights I spent in Boston: Bukowski’s on Monday, Lord Hobo on Tuesday, Cambridge Brewing Company on Wednesday, and the Harpoon Tap Room at the Boston Airport on Thursday. I’ve already touched on the last two stops in the previous post, but Bukowski’s and Lord Hobo merit a little longer description. They have over 40 beers on tap, with no taps wasted for undeserving beers. If you want to sample many of the Boston area breweries I described in the previous post in one sitting, Lord Hobo would be a great place to do it. They had beers from Trillium, Jack’s Abby, Cambridge Brewing, and Pretty Things on tap. They also had a great selection of crafts and imports including beers from Germany, Belgium, Japan, New Zealand and Switzerland. If you take the link over to their website you can see for yourself. I started with a beer called Triticale, which is a Saison made by Trillium with a rye-wheat hybrid malt, and we put in an order for some food. I went for the fish and chips, which were heavenly. The breading was not to greasy, the whitefish was flaky and tender, and it came with a side of spicy cole slaw. I’ve eaten a lot of fish and chips in my life and in my imperfect memory, Lord Hobo’s take on this pub classic is as good as I’ve ever had. I had the Jabby Brau, a sessionable lager from Jack’s Abby, to wash down my meal. After dinner I was looking for interesting beers and gave up the “only local” restriction, but did continue to look for new beers. I had a Trois Dames Saison Houblon that our waitress described as a hoppy Saison. Although it sounds like a Belgian import I later found out this beer is made in Switzerland. I finished up the night with Port Brewing’s 7th Anniversary Imperial IPA from Southern California. It was a resinous hop forward beer that was a nice wake-up call for my senses. The 20 minute walk back to the metro stop in the brisk December night air was useful to shake off the 10% abv of the evening’s finale. If you can only go to one place in Boston to experience beer I would recommend Lord Hobo. I already mentioned the Brew Dogs accolade. Draft Magazine just released their 2014 list of the top 100 beer bars in the country and Lord Hobo made that exclusive list. 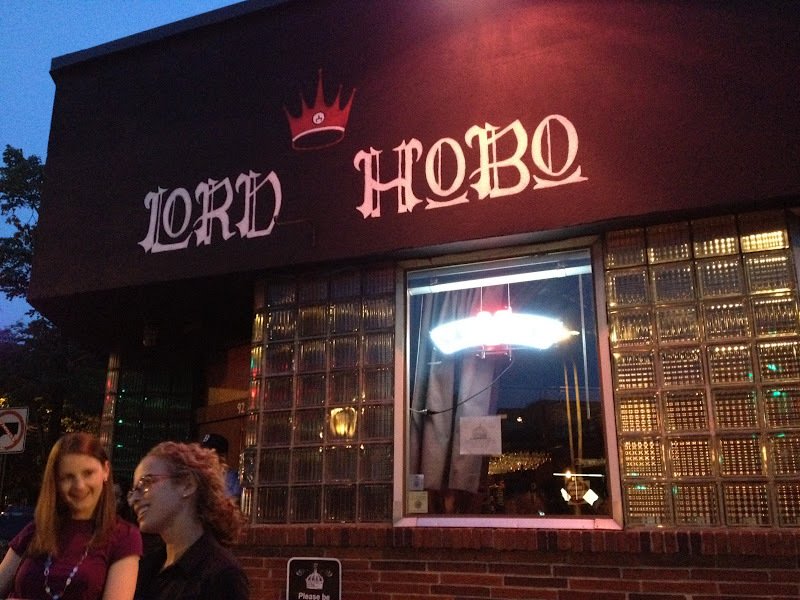 I’d put Lord Hobo in my top 10 list of great beer bars I’ve visited without hesitation. Bukowski’s (50 Dalton Street, Boston, MA) – I’ve been coming to this place when attending conferences in Boston for many years. This is a long relatively narrow bar built on the side of a parking garage. It has the feel of a dive bar. They have a good, somewhat eclectic selection of beers on tap. The night I stopped in there were 17 beers on tap ranging from imports, to local beers (Cambridge Brewing Co, Berkshire Brewing Co), to craft beers from other parts of the country, to Miller and PBR. They also sell the beer in half-pints which is nice if you want to sample a few. The food here is affordable pub fare, with a menu dominated by burgers, sandwiches and hot dogs. The food menu includes items such as a hot dog of the week, beer battered banana peppers, and white trash cheese dip. If you spend more than a couple of days in Boston you might have the luxury of seeking out other places. In that event here is the full top 5 list of Top Craft Beer Bars in Boston from the Brew Dogs: 1. Lord Hobo (92 Hampshire Street, Cambridge, MA), 2. Lower Depths (476 Commonwealth Ave, Boston, MA), 3. Meadhall (4 Cambridge Center, Cambridge MA), 4. The Publick House (1648 Beacon Street, Brookline, MA), 5. 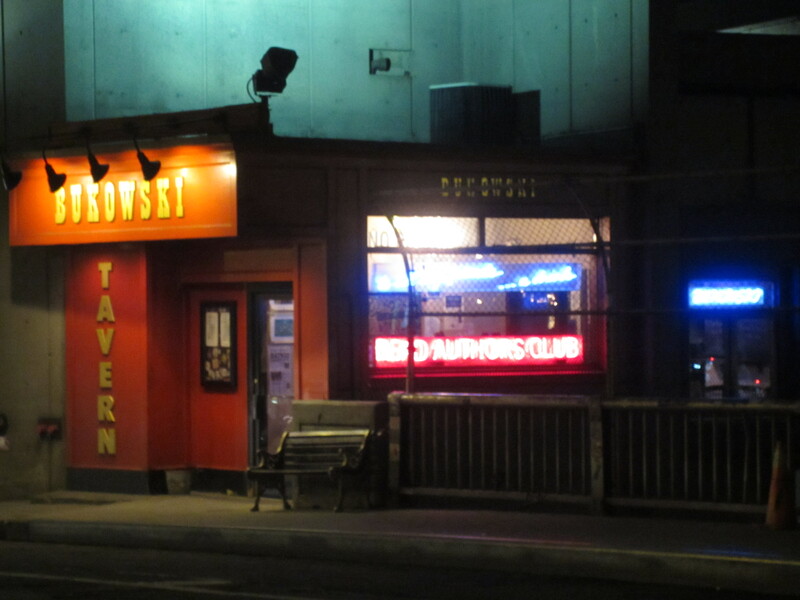 Bukowski’s Tavern (50 Dalton Street, Boston, MA). 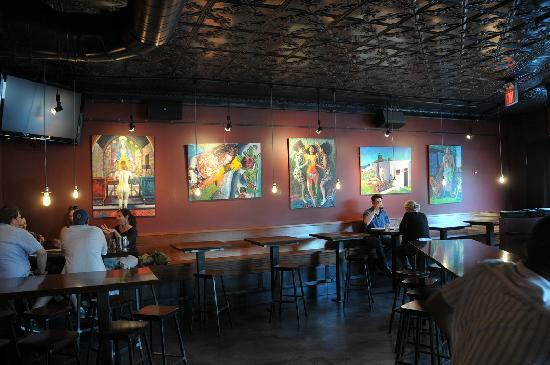 Among these choices The Publick House joined Lord Hobo on Draft Magazine’s 2014 list of the top 100 beer bars. Earlier in the year I made a bet with my friend Bart, who is a Professor at the University of Michigan, on which team would win the NL Central. I’m a Reds fan and he is a Cardinals fan, and as any baseball fan would know I lost that bet. As payment I had to deliver a six pack of Ohio beer to him at the MRS meeting. Since I was bringing beer to Boston, why not use my suitcase to bring back some tasty Boston beer. Of course to do so you have to find a good place to buy beer, preferably one that is not too far from the hotel. Using the maps feature on my phone I found two Wine stores in the area that carried craft beer—Bauer’s Wine and Spirits (330 Newbury Street) and The Urban Grape (303 Columbus Street). The first night I checked out the Bauer’s, which is located not too far from the front entrance of the convention center where the MRS meeting is held. This place was mostly a wine shop, but they did have two coolers and a shelf of craft beer. Even though the selection is not extensive they did have some quality products, including some imports several local breweries. I bought bottles of Kiwi Rising from Jack’s Abby and Zoe from Maine Beer Co. at Bauer’s. The next day I visited The Urban Grape, which is located on Columbus Street not far from Copley Square and my hotel. This is also a wine store but they do have a pretty large selection of quality beers, much larger than Bauer’s. The employees were very friendly and knowledgeable. The man who helped me had been to Belgium a few times and had some good stories about visiting different breweries over there. Since I could only bring back a limited amount of beer his advice about local beers was helpful. I ended up buying Tripel Threat from Cambridge Brewing, Saint Botolph’s Town from Pretty Things, Jabby Brau from Jack’s Abby, and Mean Old Tom from Maine Beer Co. They also had some very hard to find non-local beers. I snagged a bottle of the highly sought after Bourbon County Brand Stout from Goose Island (not sold in Ohio because its abv is above the 12% limit), and a bottle of Fantôme Noel from the eclectic Belgian brewery Fantôme. (Editors note: It is sometimes possible to find Fantôme beers in Columbus. A couple of weeks back I came across a bottle of Fantôme Noel at Savor Market). Now I had 8 bottles of beer to bring home. I felt this called for measures above my usual putting the neck of the bottle neck down a shoe (this works well if the bottle fits and you don’t have more beers than shoes), wrapping in clothing, etc. So I picked up a roll of bubble wrap and some tape from the FedEx store in the convention center. 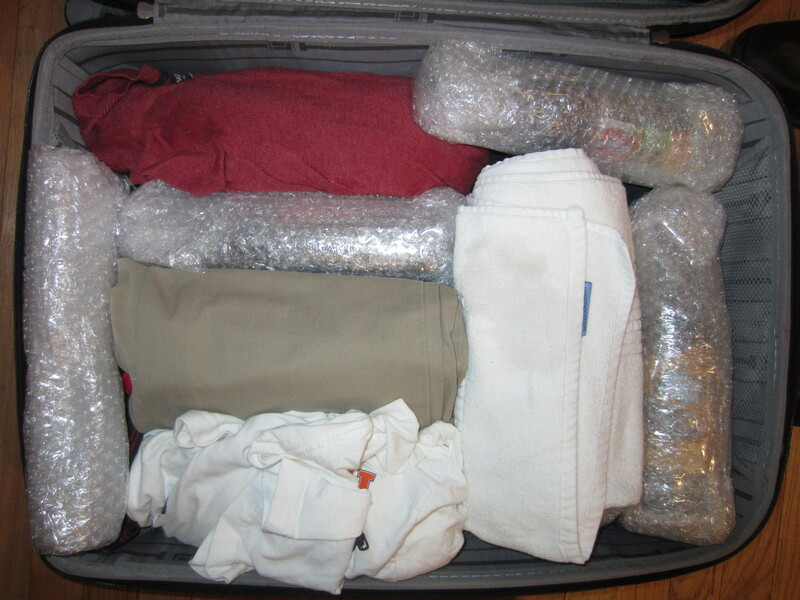 I wrapped each beer up in bubble wrap and as you can see in the photo below I was able to fit everything snuggly in the suitcase. I’m pleased to report that all of the bottles made it home unbroken. Well that wraps up my two part series on beer in the Boston area. I was able to try some good beers and visit a couple of interesting places. Given more time I would have liked to visit some of the breweries and/or tap rooms. The two breweries that left me wanting to try more of their beers were Pretty Things Beer and Ale Project and Trillium. If any of you have Boston beer experiences or tips for the traveller I’d love to hear what you have to say. Leave a comment below.